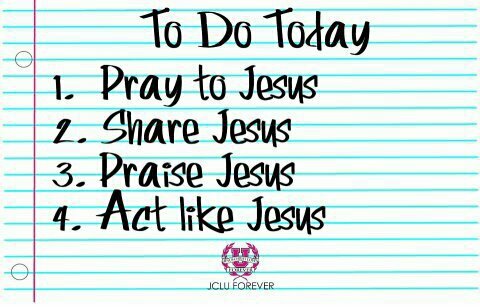 What are four things that should be on your to do list everyday? Before I get into our blog post, I wanted to share a few updates as a few have asked. Peru - Ken and I both feel the Lord is calling us back to Peru and we believe we will be going there sometime in the future, we think early next year. All in God's timing and leading. We are maintaining relationships and building new ones in the meantime via Skype! Michele's health - After having an MRI, I just got diagnosed with osteoarthritis in my right knee. I've been hobbling around off and on for about a year with some pain trying to discern if it's "new" pain or pain from a previous diagnosis. The last couple months mobility is lessening and the pain has intensified, keeping me awake at night and limiting what I can do. The doctor is going to treat with injections to help lube the knee joint. Please pray the injections work or that God will heal me. As far as the other health issues - the list is too long. I am under a doctors care and am working with them via nutrition, supplements and medications. I have days where I can function and there are days that I just have to rest. In the natural, there's no "cure". My real and only belief is that God will have to do the healing if He so chooses. 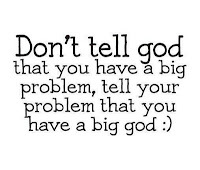 He is a big God - He is Jehovah Ropha - the God who heals! My hope is in Him. Our ministry - Ken and I are so excited to be in ministry for the Lord. We are having so much fun equipping others to better hear the voice of God and to use that to love on others, see people healed or see them come into a relationship with Jesus. We call it "treasurehunting". We have also have the pleasure of speaking and activating in small group settings, churches or one on one. See bottom of post on how you can help support us! What would you think if a total stranger came up to you and said that they were on a "treasurehunt" with the Lord and they showed you a typed up list of "clues" (think of a scavenger hunt) and sure enough several of the clues pointed you out? Would you believe them? Do you think it's possible God was answering a prayer you prayed? Have you ever been in the hospital and a complete stranger walks into your room and tells you what's wrong with you? Would you think they looked at your medical chart or would you just think it was a lucky guess? In my quiet time we often asked God what is it You want us to do today? And He often answers with something like this - go to such and such hospital, room # such and such. (He doesn't say such and such, He tells us specifically but for anonymity on this one, I'm leaving that part off). So I say, ok, what bed # or what do You want us to pray for when we get there? This time He didn't say a bed number, I just sensed we'd know when we got there. He gave us a couple Scriptures that coincide with the room #. For example if it was Room 222 - He might of said Psalm 22:2. Off we went. When we arrived at the room, there was only one man in a chair. Whew! Thanks God for making the who part easier. Too make a long story short - we asked the man if we could pray for him and he said sure. After we prayed, we shared the Scripture verses the Lord gave us for him and then begin to just have conversation. This man used to be a street evangelist, now he simply blends in at his local church. All of a sudden, it dawned on him that the Scripture verse we shared spoke to his heart and he came alive. He started sharing story after story about what He used to do long ago. The Lord may or may not heal his physical issues but believe He is waking up his spiritual health through this divine appointment! His wife came in and so we shared with her that the Lord gave us this room number and we were to come and pray. She was so moved by that, she got all choked up and tears ran down her cheeks. We got to pray for her healing as well. We stayed a bit longer chatting and then as we were leaving, the wife hugged us and said thank you for being obedient and how appreciative she was for the prayers. You could definitely feel a shift in their countenance! This past week we took a small group out to do a "treasurehunt". The clues, the people and the places God sent us to were quite a few so I will share just a couple. The clues we got for this story: Nursery, brown house with pond, trees with a square around it, green lawn, hunched over, neck/spine injury, right foot. There's a tree nursery not far from where we were so we decided to drive into the parking lot, see if any of the clues on our list matched and if so, we'd get out and go in. Sure enough, the nursery building itself is a brown house, there is a pond right out front and of course the grass was a beautiful green (since we are in drought, its not so common to find green grass). We even spotted an arrangement of landscaping in a square around a tree just as someone heard. We split up into two teams, one went inside and the other outside. The outside team approached an employee who was watering the trees. We told him what we were doing and asked him if he had any need for prayer. He said he had an issue with his right foot. That was one of our clues. So we prayed for his foot and for peace and happiness that he requested. We didn't feel led to lead him to the Lord on this trip, but it was apparent he is searching. The team that went inside went up to the employee behind the counter, told them that they were on a treasurehunt and told her she was their treasure. Guess what? Yep, you guessed it, she was hunched over and had a neck and spine injury. The team prayed for her and she was healed. On the spot.... HEALED INSTANTLY! 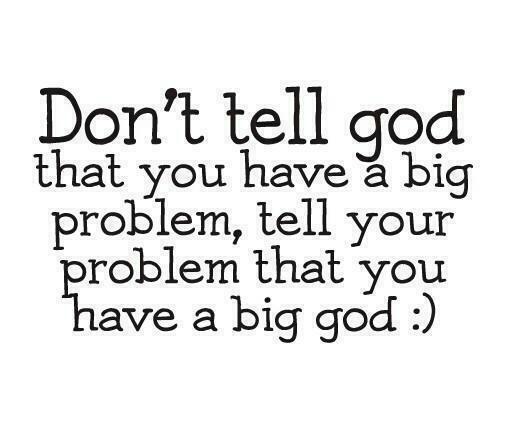 Way to go GOD!!!! Can you imagine what must of been going through her head? Total strangers walk in, show a list of clues that the Lord gave them earlier and she was the treasure obviously. She agrees to prayer.... And then God heals her! Could you doubt that God hears and answers prayers after that? Clues for this story: tent, white, red, fruit stand, broken heart, heart (like a problem with a heart), brown hair, McDonalds, arch. When we left the nursery, we headed down the street because there was a McDonalds on the corner, a fruit stand with a red and white tent. A few of us got out of the car and went to purchase some fruit. The only person there at the time was the employee. She had brown hair. So we told her what we were doing and asked if there was anything we could pray for. She went on to share that somebody in her family had just had a heart attack, and there were two recent deaths as well. She was pretty shook up. So we took turns praying for her and as we did, the Lord revealed more to us on how to pray. When we got done, she gave an acknowledging look that what we prayed hit the mark. She was the one with the brokenheart (not just because of the deaths in her life but because the Lord revealed something to her). She was blessed! I went on a "treasure hunt" Friday with my mom and some of her church friends. 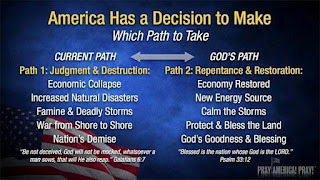 We started by asking God for clues as to where to go who to pray for and what they might need prayer for. We prayed for two people at a tree nursery, one at a fruit stand and together one at walgreens all on different corners of one intersection, then four at the great mall of the great plains, with only 3 others who said they didn't want prayer. It was a pretty interesting time. Using our clues we came up with two scriptures we were able to share with a couple of people. I had gone back and forth on whether or not I was ready for something like this and I finally decided to be bold and go. For some reason it was easier to go on a treasure hunt than to go "preaching the gospel on the streets". But it was almost more of a lesson in listening to His voice. There is no fear in doing what He asks, because He's the one doing the work, we were just the tools. Only 3 of 11 "rejected" with 8 blessed people or seeds planted to be watered at some unknown time. One person was healed of neck/spine injuries at the hands of the people in the group I was with. And the thing about the rejections is that, they were not rejecting us but rejecting Him. And we were blessed because we acted on His behalf. How would you feel if you were the one on the receiving end? To know that only God could orchestrate something so incredible! We are called to make disciples, go into the world and let others know who He is! We are the church! We are to be Jesus' hands and feet to a broken and hurting world! We are called to love God and love others (Matt 22). I want to challenge your thinking and your actions. Often God chooses only one person to be an answer to someone's prayer, whether it be for healing or a need they might have. What if that person God wanted to use is you and whether or not you knew it, God was going to heal that person from a life long illness through you? What if this person had been praying for a very long time and decided to turn away from God completely because their prayer went unanswered? At the end of my life, I want to hear "Well done, my good and faithful servant", don't you? If you have been blessed by this ministry or feel led to support us financially, here's how you can. Your generosity and your prayer support is greatly appreciated and needed. Donate to The Want InSight Phil 4:19 Fund ! Put your trust in Jesus - not in the things of this world! We are to be set apart! Rock Bottom - only way up is by God's GRACE! When you became a follower of Christ, you knew that you were saved and your sins have been forgiven. You probably even knew that any new sin or future sin you committed were forgiven as well. Once we are forgiven, we realize we need to start "living" the Christian life. Sermons and books tell you to do your best, go to church, join a bible study and start a relationship with God. I can do that. Ok...that's a nutshell version but you get the gist. Do you ever not feel worthy enough to receive from God? Do you think maybe you don't measure up? Maybe you ask God what do I have to do to get my healing or you fill in the blank - What do I have to do to get a job? Get a spouse? Get ??? whatever it is you want. Do you think that if you memorize one more Scripture or repeat a verse over and over again, your mind will be renewed enough to believe the Truth in that verse or get what it says? When we don't understand our true identity in Christ, we strive to make things happen in our own strength. We are doomed for failure if we try to make the Christian life work on our own (meaning without God's grace). We end up becoming burnt out or spiritually bankrupt asking questions like - Where is the abundant life that is promised? Where is the joy of the Lord? Where is the good that God promises? When will my life turn for the better? Are you worn out trying to become more "spiritual"? 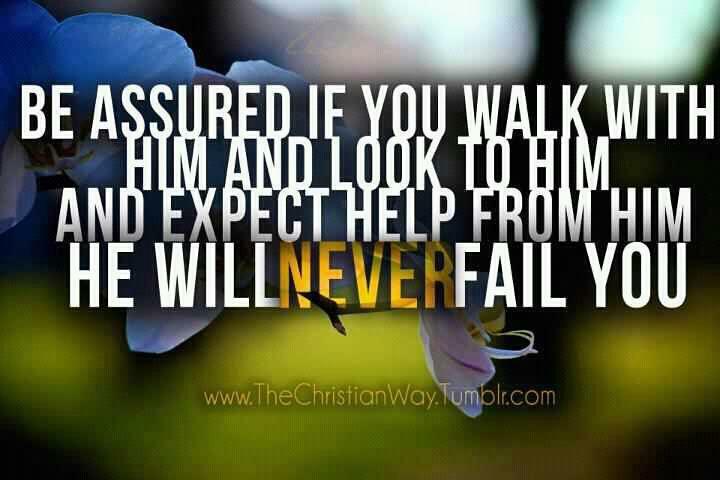 All these years I've been trying to earn my way into His good graces, earn His provision, earn His love, dot dot dot. Now, I don't think God caused my health issues (I'm pretty confident my striving all my life did) but I do believe He has been directing me on this path so that I could come to the end of myself and truly understand who He is and who I am in Him. Sometimes God has to take us down to zero, zilch, nada. Sometimes we have to hit rock bottom in our finances, health, relationships, etc before we can truly realize our need and utter dependence on Him. (Thankfully He only shares on a need to know basis, ha). 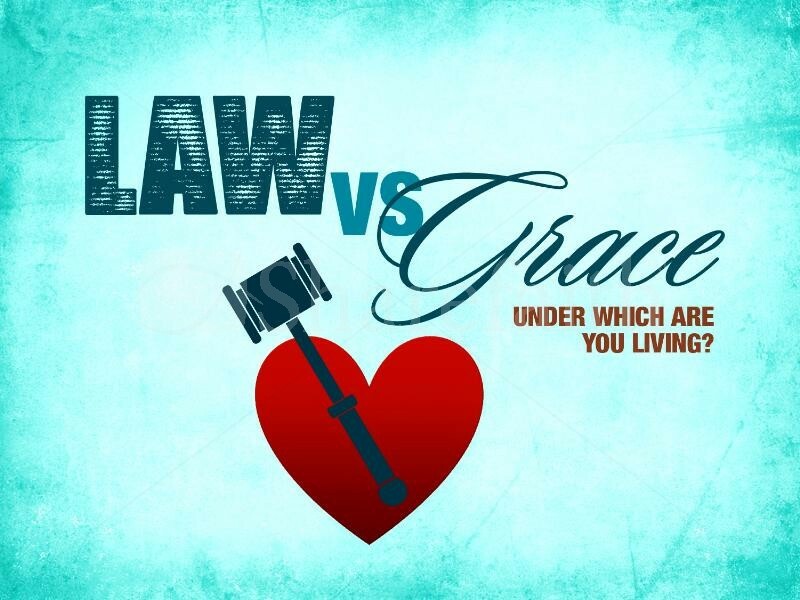 Recently a friend of mine asked me to read Romans 5 and 6 about law vs grace and who we are in Christ. At the same time, I started reading a book called Wired for Success, Programmed for Failure and Grace by Dr James Richards. Another friend gave me a book The Rest of the Gospel, When the partial Gospel has worn you out by Dan Stone & David Gregory. These things have been like a 2 x 4 upside the head, of course in a loving gentle way. Even this weeks sermon at church was on freedom - freedom in who we are in Christ. Watch it here: http://www.lifechurch.org/media.php?pageID=53. A light bulb went on. 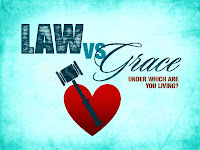 I have recently discovered how I've been living under the law and not under grace. I am finally coming to an understanding of why I have been "working" so hard to be a good Christian and why it hasn't been working! Yes, there's been fruit and that's all good, but my heart was still living in old beliefs. I haven't been totally walking in the newness of my life in Christ. I haven't been trusting God fully. When we get down to where there is no where else to go but God - that is when His grace will take over. As long as we think we can still do something, we get in the way of allowing God to work His grace in us. Grace is God's favor, it's the unmerited operation of God working in our hearts, it's the active communication of the Holy Spirit providing us spiritual blessings. We can't earn it, we can't achieve something to get it, we can't beg or plead for it. 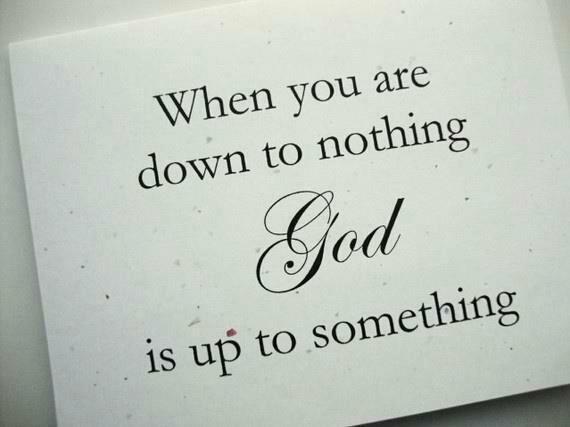 It is truly and purely from God and God alone! Our identity is not in our job title, our financial status or anything that we do but only who we are in Christ! God wants us to see ourselves the way He sees us! God wants us to walk in the newness of life from the moment we are saved. It's at that moment, that Christ is in us and we have everything that pertains to life and godliness (2 Peter 1:3). He wants us to experience the abundant life filled with the promises in His Word (John 10:10b) When we truly know that we know who we are in Christ Jesus, our mind and hearts are renewed and the Truth of God's Word can really come to life in us! Do you want to walk in FREEDOM? We have to say NO to the old life, old self, old ways, old thinking patterns and say YES and AMEN to His ways, His thoughts towards us and believe in our hearts that He does have good for us. For some, this may be a process because of hurts in your past and may require some tender open heart surgery. Pray, and ask the Lord to reveal your identity in Him and ask Him to make Himself known to you! If you are one that has already got this revelation in your heart, praise GOD! You know what it looks like to walk in freedom and the grace of God and I hope that you are helping others to realize it too! We are redeemed! We are a child of God! We are the righteousness of Christ! We are more than conquerors! We are overcomers! We are blessed! We are healed by Jesus' stripes! We are deeply loved by the Creator of the Universe! We have been set FREE from sin! We are a new creation! We are kings and queens! We are the bride of Christ! Our hope and prayer is that everyone who accepts Jesus as their Lord and Savior will grasp the understanding of their true identity in Christ. I mean really grasp it so that there is no doubt! 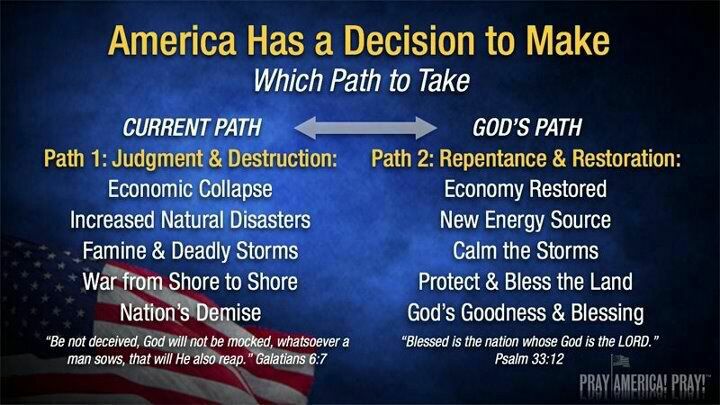 When this happens, nothing can get in the way of what God wants to do in us and through us! For the Lord is GOOD, His love, mercy and faithfulness endures forever! Thank you for those of you who have been so kind to bless us with a financial love gift. All gifts are greatly appreciated and needed! God's timing is perfect! And for those asking how you can help us, see below. Would you like your investment to be a WIN-WIN? Our investments can feed you in times of emergency AND have the potential for a huge return. Profiting From Preparation will help you transform the assets you have today into reliable food stores and potential profit in the future. Join us in Kansas City for our readiness practicum. Are you prepared? How can you be?